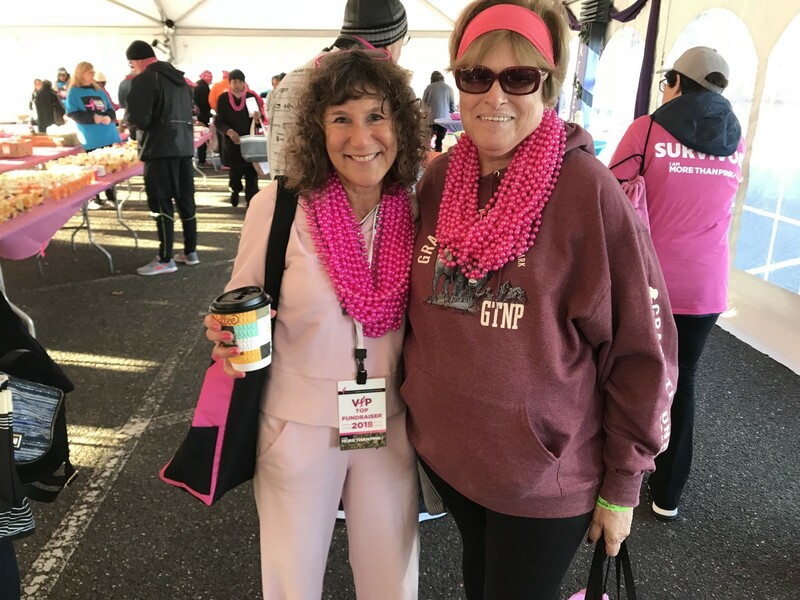 On Sunday November 4, 2018 Komen CSNJ debuted the new MORE THAN PINK Walk. Families, friends, survivors, volunteers and those living with metastatic breast cancer all came together on this day to remember those that have passed away from breast cancer and to bring awareness to the importance of fundraising to end this disease forever. The day was full of powerful stories of survivors, honoring those who lost their lives to breast cancer and learning different ways we can make an impact. The We Remember tent was an emotional place to visit during the Walk. 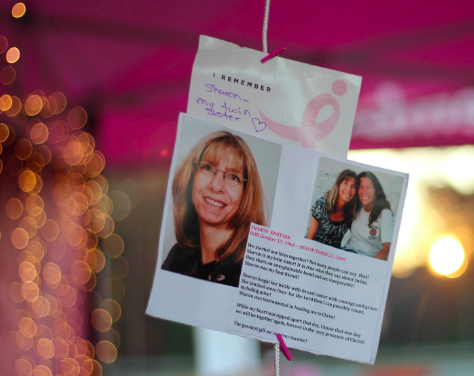 Throughout the tent there were audio stories, photos and notes remembering those who have passed away from breast cancer. Family members and friends were able to write messages honoring their loved ones. The stories of those who have passed are never forgotten. 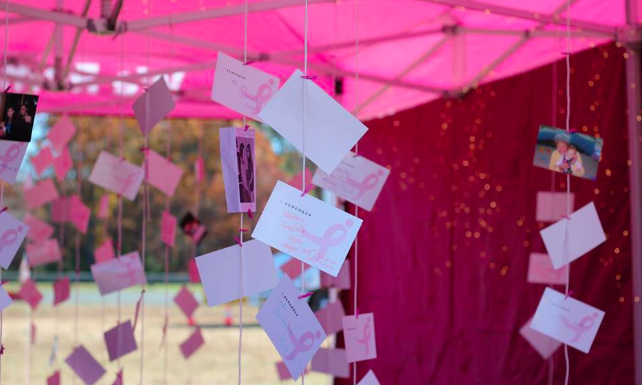 The tent created a place for people to come together and share the stories of their loved ones’ journey with breast cancer and their legacy. The twinkling lights hanging created a warm, welcoming feeling. 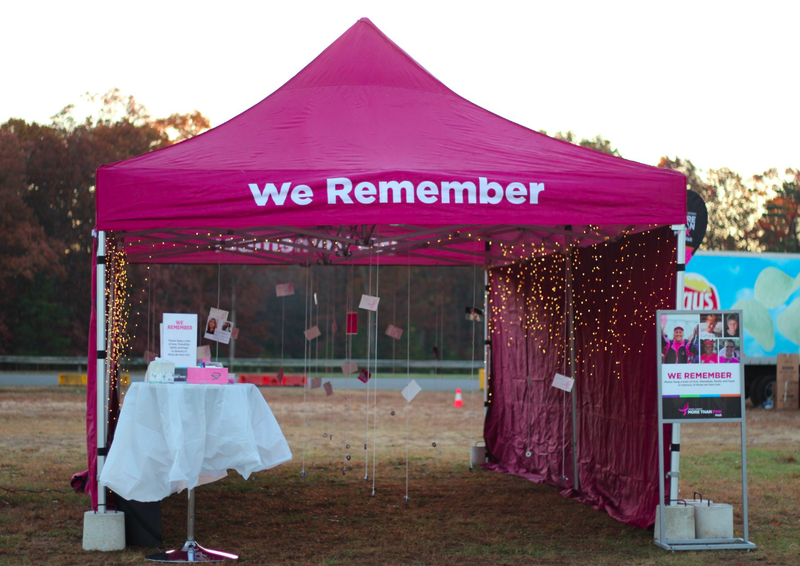 Everyone needs their support system when fighting breast cancer; the We Remember tent is a small way of showing people that they will never be alone in their fight. As you walked through the tent, you heard the reasons why people walk for to end breast cancer each and every year. No matter someone’s story, the community comes together to fight the same fight. The memory of a lost loved one will always be remembered in our hearts. As I walked throughout Hope Village, I had the opportunity to speak to different women and men and hear about their journeys with breast cancer. Some were diagnosed in their early thirties. Some had just finished treatment. And some are still battling this disease. Both the We Remember Tent and Hope Village remind us why we are there for the MORE THAN PINK Walk. Together, we are taking action to raise funds and awareness because breast cancer affects 1 in 8 women and is the second leading cause of cancer death in women. Komen CSNJ’s mission is shaped around four core pillars: research, care, community and action. The research pillar represents finding ways to better detect, prevent and treat all breast cancers. Dr. Yibin Kang, a Komen Scholar at Princeton University, and his team are researching treatments and cures for metastatic breast cancer. Care represents the ways we can improve access to quality breast health services and eliminate any barriers to under-served communities by providing services like transportation or medication access. Women and men who do not have the proper medical care to cover their treatments rely on community programs to help give them the care they deserve. Community encourages volunteers from central and southern New Jersey to come together to match passion with movement. The action pillar represents advocacy for research funding, and our efforts to gather survivors and those living with metastatic breast cancer to honor, support, and celebrate their battles with breast cancer. 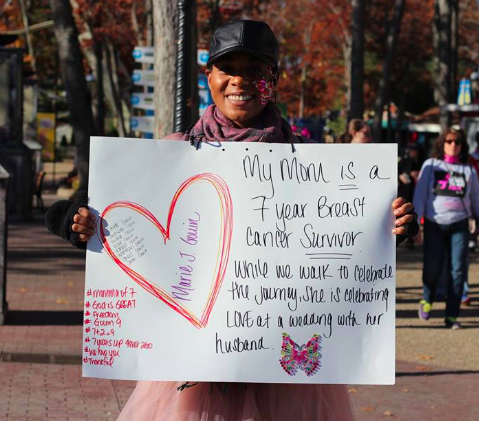 In order to create a world without breast cancer, we need the support and love of our community. With your generosity, we make sure that the women and men in our communities receive the breast cancer care that they need: free mammograms, diagnostic services, transportation access, education and so much more. Every dollar is important in making a change. Help Komen CSNJ reach our goal of $625,000 at komencsnj.org/25years.